ysabetwordsmith | Poem: "To Keep Your Balance"
Poem: "To Keep Your Balance"
This poem is spillover from the November 8, 2016 Poetry Fishbowl. It was inspired by prompts from sweet_sparrow and shiori_makiba. It also fills the "exercise" square of my 10-4-16 card for the Games and Sports Bingo fest. This poem has been sponsored by janetmiles. It belongs to the Cassandra thread of the Polychrome Heroics series. Warning: This poem contains some touchy topics. Highlight to read the warnings, some of which are spoilers. Cassandra is struggling to cope with all the emotions stirred up by Groundhog's brief flight and the exercises they've done with Highliner. Then Aidan gives her a bicycle, which Cassandra loves but is so far outside her price range that it freaks her out, and Groundhog's more modest gift of biking clothes is closer to reasonable but still angsty for her. If these are sensitive issues for you, please consider your tastes and headspace before reading onward. Cassandra to see how they were doing. and as encouraging as he could be. showed clear signs of recovery. to come down to the recreation floor. she stuffed wet clothes into the dryer. "Oh, go on," said Marsha Farley. "I can finish loading that and turn it on." and why they couldn't just come up to her. The reason turned out to be a pile of stuff. and a gorgeous white bicycle with blue trim. "Who's all this for?" Cassandra asked. the help you've given recently." so much," she said faintly. "Don't you want to see the rest of it?" Making Aidan sad was like stepping on a puppy. if the main part of the present was a bike. that went behind the handlebars for snacks. clip onto the front and rear cargo racks. a pair of soft gray coolers for cold things. or latched together as more panniers. and a removable shoulder strap. "What is all this?" Cassandra asked. "I could carry as much in here as in a car!" running errands for people, like shopping. You need a real cargo bike for that." and lines of reflective white piping. that read, Life is a beautiful ride. "That one reminded me of you." because it feels almost like I'm flying again." 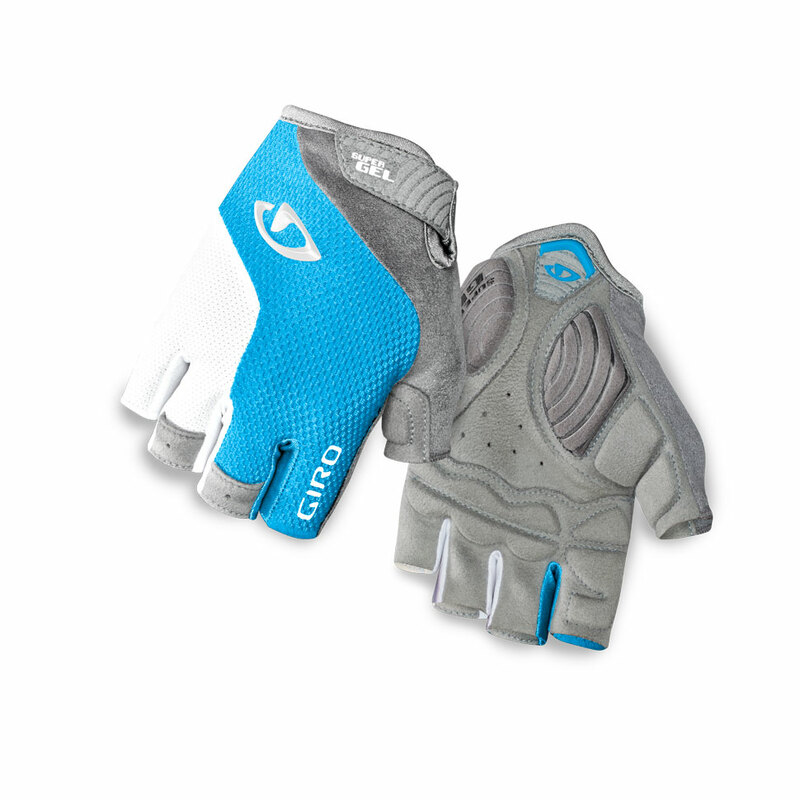 a pair of blue-and-gray biking gloves. for securing wheels or cargo. "What, no shoes? No knee pads?" Cassandra gave a wild little laugh. "Maybe I need a parachute!" more than gloves and a helmet." "This all looks incredibly expensive,"
looked so beautiful, so powerful. Aidan sighed. "Well, yes and no,"
but I didn't pay cash for the cargo bike. in his living room, to hold his wife's plants. so we bartered for each other's projects." at about $10,000 worth of bike,"
bike lockers, that's on you." Cassandra squeaked on the inhale. buy a used car for that, a decent one." need to buy gas," Aidan said. He wasn't a big fan of fossil fuels. got the better of her. "This -- this is too much,"
ever could do is worth all of this. I don't have this caliber of talent!" to reserve the trailer for later,"
a level head during soup incidents." "But anyone could have done that!" Cassandra protested. "It's not special." might flicker into gifts of their own at any moment,"
of your own. Don't underestimate yourself." and helped convict him," Groundhog added. "That's an important contribution, too." "You see?" Aidan said, spreading his hands. my gratitude in a more concrete form." Aidan thought that he owed her? not bribes or wages," Groundhog said gently. our friends, and we're not broke." "I know that, but ..." she said lamely. finding a grip on anything. used to receiving gifts, are you?" he said. a nice sweater or a bit of jewelry." "My family wasn't ... extravagant,"
bought me a leather backpack." "All right, I can work with practical,"
a fashion statement, nor is it a toy. It's a real working vehicle." almost as powerful as a whole laptop. so they could go from horizontal to vertical. augmented by LEDs for visibility. she said. "It's a good utility bike." "I do like them," said Cassandra. into the selections you made." you can mix and match," Groundhog said. ride in them without snagging anything." ran away from her parents' house. "Real biking clothes would be fantastic,"
I get wet or the weather changes." a promising set of things for you." "There's just so much of it,"
she said. "I feel like a mooch." consider that your share of the work." could have afforded on her own. have a bicycle," she said. a saddle patched with plastic bags,"
"It's a good bike," Cassandra said. even if it was an ugly duckling. not someone running an errand service,"
you're doing, you need a great bike." she climbed on her current bike. have a bicycle but needs one." she'd ever had to her name. "Is that a yes?" Aidan asked. a deep breath to calm herself. "I'll test the bike and the cargoware. framework for making reports, though. I've never done live reviews before. I wouldn't know what to say." to give you an idea what feedback would help." "I think I can work with that," Cassandra said. "Great!" Aidan clapped his hand together. "Why don't you take it out for a spin?" to figure out what to use. "That much I can manage." had to check to see if it was really on. a Clydesdale at a petting zoo. "I think I'll call him Clyde,"
did that, you were keeping it. the side entrance and out to the street. Then she swung a leg over to try it. After that, it rode like a dream. it was a robust and graceful ride. let alone loaded it with cargo. of the block, she went back inside. "I love the bike," Cassandra said. that I need more exercise, though. It wore out my legs pretty fast." up to this one," Groundhog said. if you want more than just biking." "Yeah, that's a thought," she said. stopping to look at the beautiful bike. don't have an apprentice right now." of Onion City biking laws," Gyre said. wasn't around here," Cassandra said. instead of learning from scratch," said Gyre. get you a courier vest and a trainee armband." "I can work on that," Cassandra said. if they have one on repairs too. What else?" an exercise plan. We can discuss our trips. I will talk about ethics and professionalism too. you'll need to manage cargo balancing." "Well, I guess it's important," Cassandra said. you. We can split big loads between us." "The Carris family," said Cassandra. to feed a small army up there!" sharing the penthouse, it was no wonder. "That's a good thought," Gyre agreed. probably help get you back on track." "I will," Cassandra promised her. "Thank you for offering to teach me. This is a terrific opportunity." a grownup ought to have. admiring the older woman's poise. but why a bicycle in particular?" "Life is like riding a bicycle,"
your balance you must keep moving." how much better she felt now. it's time for me to move forward." Emerico Mas -- He has toffee skin, black eyes, and short wavy black hair. He is Hispanic. His mother fled to America from Nicaragua, and either doesn't know or won't say who his father was; Emerico doesn't remember having a man around the house. His wife enjoys raising houseplants. They live near Aidan Spencer. Emerico is a metalworker who builds everything from park benches to water fountains to bicycles. A difficult life has left him with a somber mood, so he builds beautiful things in an attempt to compensate for that. -- Albert Einstein, letter to his son Eduard, 1930. Skylark Apartment Building in Onion City is old and full of character. Its advantages and disadvantages balance out to a rate that is neither bargain nor extravagant. The basement is the recreational floor with the more physically active function spaces. The exercise room has treadmills, free weights, punching bags, and assorted bodybuilding machines. 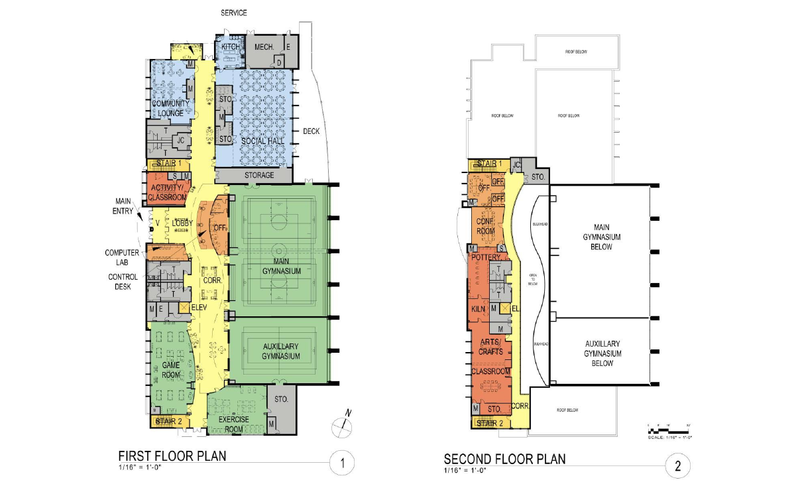 The auxiliary gym is subdivided into two 40x20 courts for handball, racquetball, and related games. The game room includes shuffleboard, several dart boards, pool tables, air hockey, foosball, ping-pong, and a few pinball tables. The small yellow room at the end of the hall is used for yoga, aerobics, dance practice, and other freestyle activities. Social dances usually take place in either the main gym or the social hall. The kitchen is used to bake pastries for Jack's Magic Beans, which has no kitchen of its own, just a basic coffee bar and display cabinets. The side entrance is actually the main entrance for this floor, and the handicap-accessible entrance for the whole building, whose smaller front entrance to the ground floor has steps. The side entrance is convenient to the building management office in the center; to the computer lab, locker rooms, and the building's sole elevator to the right; and to the classroom and social hall on the left. The small gray square immediately to the left of the elevator has indoor bike storage that residents can rent. Class differences can make life challenging, especially between friends. Changing class tends to be disorienting. It is possible to maintain friendships across wide wealth gaps, but this takes more thought and effort. While there are plenty of tips for coping when you are the broke friend, there are far fewer for when you are the wealthier one -- and almost all of those deal with how not to spend money on people. This can create a lot of awkwardness. The problems here are actually more complex: 1) Cassandra is shifting class in complicated ways. Running away from home left her with no material resources. But moving into the soup community means that, simultaneously, some things cost a lot more while her work is also worth a lot more. 2) Groundhog has the usual sort of wealth gap. He's comfortably well off and enjoys being generous with friends who are less well off. This can be handled with a little thoughtful negotiation. 3) Aidan's issue is completely different. Not only is he in a much higher bracket of personal resources, he simply does not understand money the way most people do. He doesn't care whether he has it or not; it has no meaning to him other than a convenient way to move energy and resources around. The fact that everyone else is extremely concerned about money is confusing and frustrating for him. Giving gifts is similarly complicated by socioeconomic class. Being too generous can hurt relationships. Rich people also tend to give gifts in a whole different category from everyone else. Now consider that Aidan follows a gift economy, not a capitalist economy: to him, wealth is defined by what you give away, not by what you have. They're opposite principles, which naturally causes friction between people who function with different economic orientations. There are tips on how to deal with expensive gifts from friends and how to manage gift-giving expectations. The baseline is: put the relationship first, and suit the gifts to the recipient. Cargo bikes are useful for city dwellers. They come in many styles. In Terramagne-America, this category of bike is more popular and advanced models are more readily available. Electric bikes also come in assorted types. Something else that T-America enjoys more of is charging stations for electric bikes. A big city with a decent budget will put these things in a lot of public places -- parks, bus stations, plazas, etc. Even a modest city is likely to have some large institutions who will offer them as a perk such as malls, hospitals, or big companies. A bike-friendly community (also more common in T-American than here) may have facilities including chargers far beyond what their size or budget would ordinarily predict. The quality of charger is also higher, with multiple features making it fast, easy, and convenient to use. You can read about how to choose an electric bike. This brings us to electric cargo bikes. 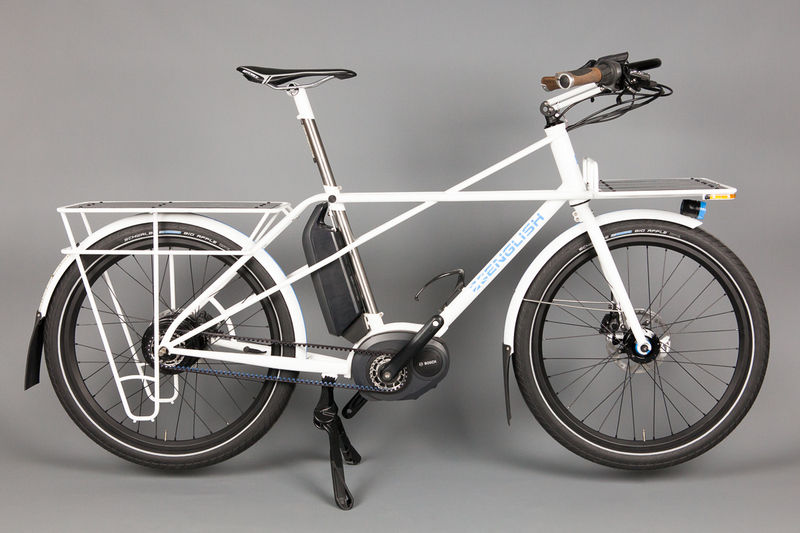 These tend to rank among the most expensive among both electric bikes and cargo bikes, up to around $10,000 or so. One reason is that so many of them are custom builds instead of mass-market bikes. T-America has a lot more cargo models to choose from than L-America does, and also has more variety and better technology in electric bikes, so comparatively their mass-market ones are better and cheaper. But handmade bikes are still expensive. Compare the prices of a high-end e-bike to a motorcycle. Cassandra's bike resembles this "no-car-kitty-cargo" bike. Notice the hinges on the front, which allow the handlebars a full range of motion from horizontal to vertical. Typically, horizontal favors greater speed with lighter or smaller loads, whereas vertical provides better visibility and stability at low speeds with heavier or bulkier loads. On the front rack you can see the headlight and amber LED lights. 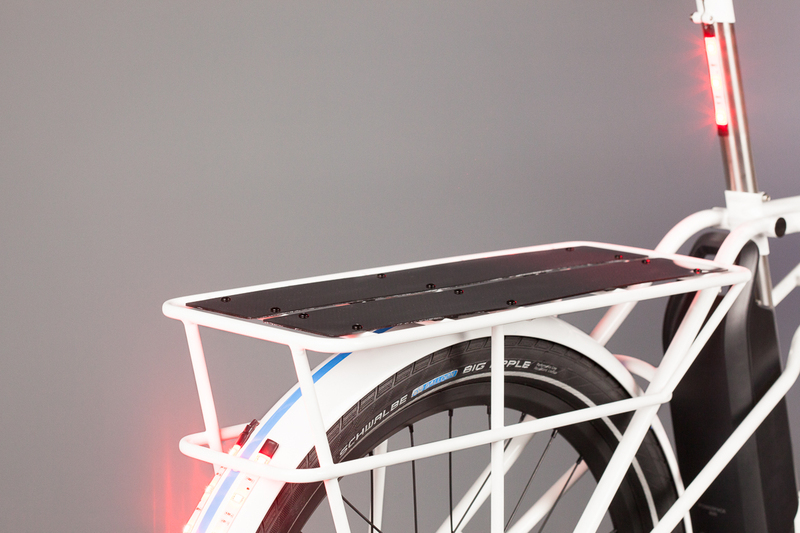 The rear rack has red LED safety lights above and below it. 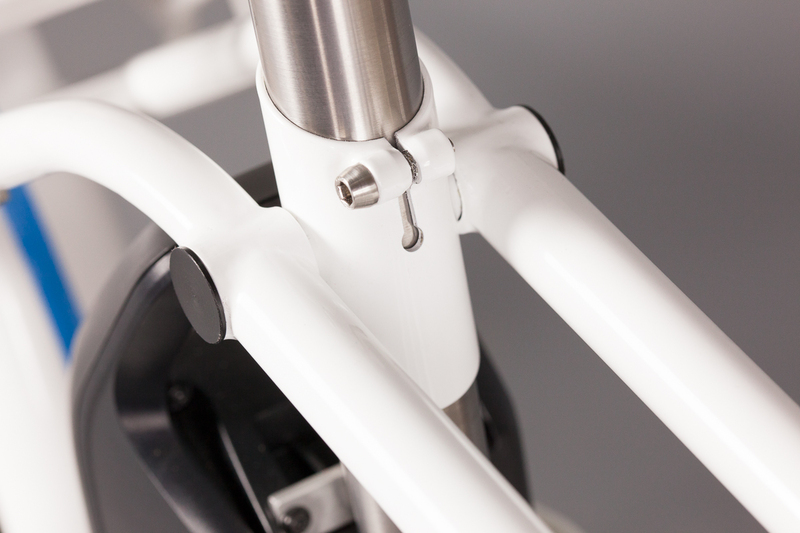 The bike has a titanium seatpost and a belt drive for comfort and power. The Gen 2 Bosch Motor is sophisticated and effective. 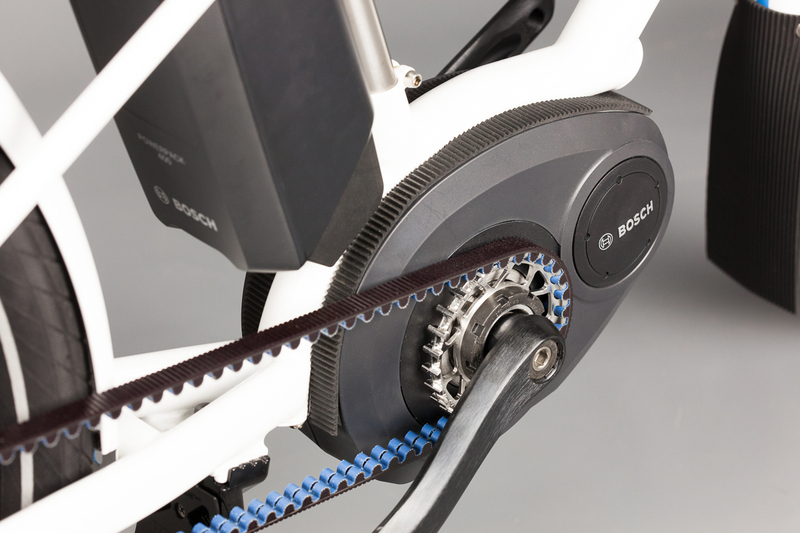 The Intuvia display is part of the Bosch e-bike system. Cassandra's bike has a fully operational mobile computer with a touchscreen interface. It can make tell time, make phone calls, surf the internet, send and receive data, and do all kinds of other things in addition to managing the bikeware. It includes a GPS sensor, currently accessible to the owner and the maker. That's a modular unit, so it can be removed, but then you lose the live navigation features and are left with only the static maps. There is also an optional killswitch, but only the owner has the code for that. Among utility bikes, there are favorites. 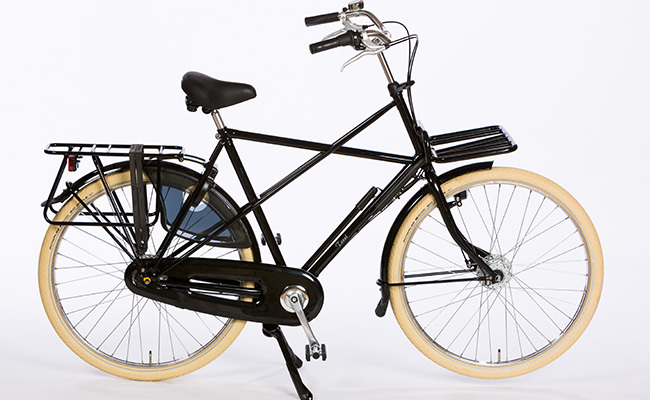 Comparable mass-market bikes include the Azor Pastoorfiets, which is non-electric but compatible with conversion kits; and the Pedego Stretch Electric Cargo Bike which is factory-made with an electric motor. Bike security is important. Bike locks come in various styles, and you need to know how to use them to secure your bike and your gear. This site reviews bike locks. Cassandra's bicycle comes with assorted hardware for carrying cargo and supplies. Her cargo modules have locking theft-deterrent features. The Fahgettaboudit Mini is the most secure U-lock. Other strong locks include the Kryptonite New York Noose 1275, the best portable chain lock. In L-America, cable locks offer next to no security. In T-America, the top of the cable security overlaps the bottom of the chain security, so a good cable is roughly equivalent to a decent chain. The KryptoFlex 1218 Key Cable makes a useful secondary lock. In general, T-America has much better security technology than L-America, but the cracking tools are also better. Consider security levels for bikes, which is divided into classes. Here's a company that sells bike parking equipment at different levels, similar to many T-American offerings. Simple bike racks are everywhere in many styles, and they are free to use. One area of wide divergence lies in stationary security. Almost everything in L-America relies on portable locks. T-America has bike docks that enclose the frame and one or two wheels, similar to those used by bikeshare programs. (There are docks for skateboards, too.) They also have more bike lockers, which are like tiny garages. Public docks and lockers typically run on membership, although some sell one-time use on location. Top of the line is Onion Security, which literally uses a layered system: a sturdy locker with a security system, then a locking stanchion inside it, and users can also employ portable U-locks. It's insured for the full value of the contents. These are for the car-priced bikes, and they're rented or leased by professionals or wealthy people. Onion's goal is to make bikes as secure as cars, and their theft rate is actually lower than car thefts in the city. The only people who've cracked these have been either black-hat engineers or supervillains, and the police prioritize investigating such thefts due to the product value (it's always a felony) and the lead on career criminals. Also worth noting is that T-America offers public bike repair stations in places such as parks and transit hubs; bike security services often provide these at their docks or lockers. Cassandra's bicycle comes with assorted hardware for carrying cargo and supplies. Her cargo modules have locking theft-deterrent features. This small goody bag mounts to the frame just behind the handlebars. 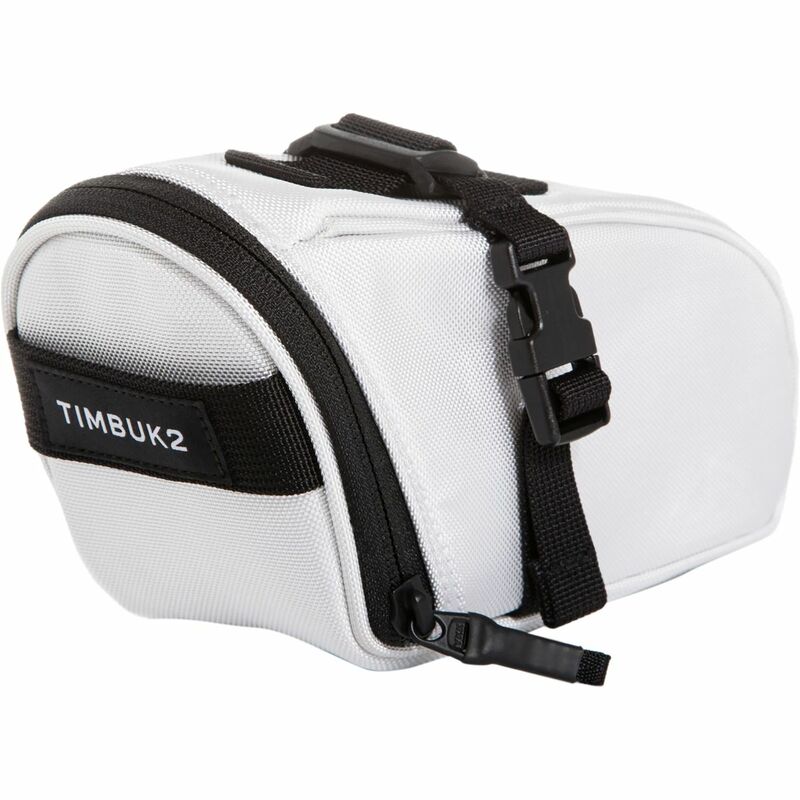 It holds the rider's snacks, wallet, and other essential belongings. 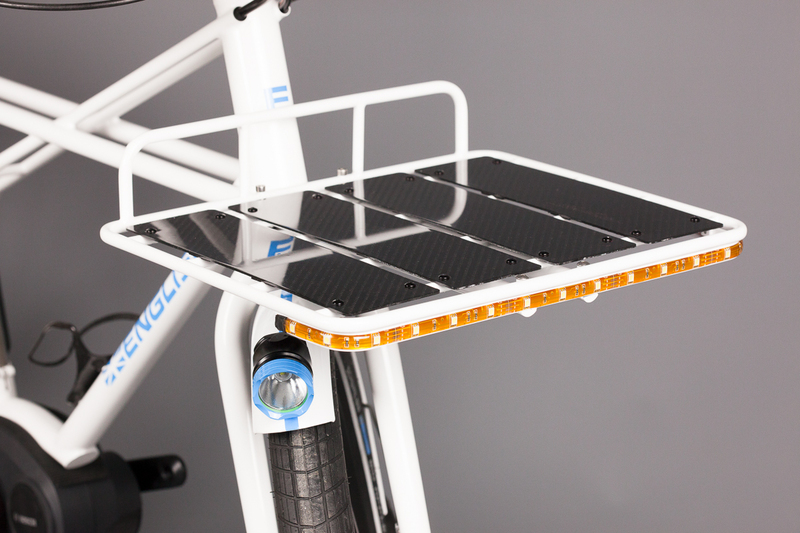 The seat pack fits along the frame under the seat, and holds a bicycle repair kit. This basket can attach to the front or the rear cargo rack. Cassandra's bike comes with two of them. There are two pairs of these waterproof pannier boxes in blue, for the front and rear racks, but usually just the rear set are used. Pannier boxes offer rigid, waterproof protection for delicate items or bulk storage. You can make your own like this. 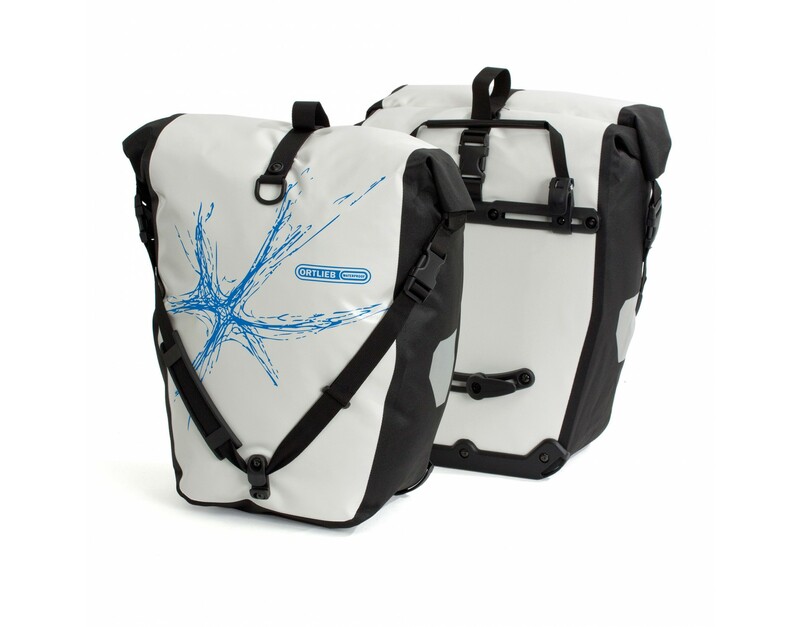 Cassandra's bike comes with one pair of these cooler panniers for the rear cargo rack. They keep hot things hot and cold things cold. Cassandra's bike comes with one pair of these Ortlieb Back Roller Classic Design Splash Pair Panniers in blue-splashed white for rear racks. These are accompanied by several interchangeable accessories: two small outer bags, two mesh pockets, two bottle cages, and one laptop sleeve. There are two of these bags, which can be used as over-the-shoulder messenger bags or clipped together in pairs to serve as front or rear saddlebags. A wide assortment of protective gear is also available, but its usefulness varies greatly. (Requiring helmets actually makes biking more dangerous.) In this case, a helmet might be prudent for learning a new type of bike, but probably isn't necessary after that. Gloves seem to hold universal appearl for reducing vibration that can damage hands. Cassandra's helmet includes a snap-in visor, which can make such headgear especially useful during inclement weather. Her biking gloves have gel and foam inserts to cushion her hands. While it's possible to ride a bike in almost any outfit, dedicated biking clothes are safer and more comfortable. Groundhog has thoughtfully supplied a short-sleeved biking outfit, a long-sleeved biking outfit, a cute tank top, a spare long-sleeved shirt, waterproof reflective pants with pockets, and a cycling jacket (see front and back) which is windproof, waterproof, and reflective. There are two branches of product review: selling and rating. Selling is where it's fine to hype up the best points and gloss over the drawbacks, or at least frame the latter as tradeoffs (a cargo bike is always heavy in comparison to a cruiser). These amount to publicity and may be hired by the manufacturer. Rating is where it's important to be honest about the pros and cons of a product. These are meant to help customers identify what features they need, what they prefer, or distinguish between similar items. So a conflict of interest between economics and honesty undermines the whole point of the review. T-America therefore tends to solicit a lot of input from actual customers or other people who take a product and really use it for a while. Some companies take the WeGeex approach and reward customers for pointing out flaws that can be fixed, which leads to better products, which is a big thing driving their more advanced technology. 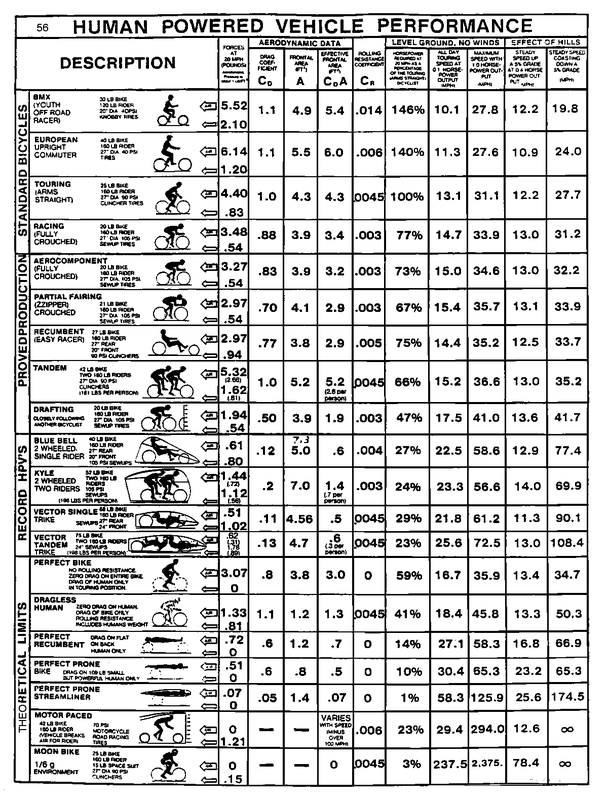 This chart shows several aspects of human-powered vehicle performance. 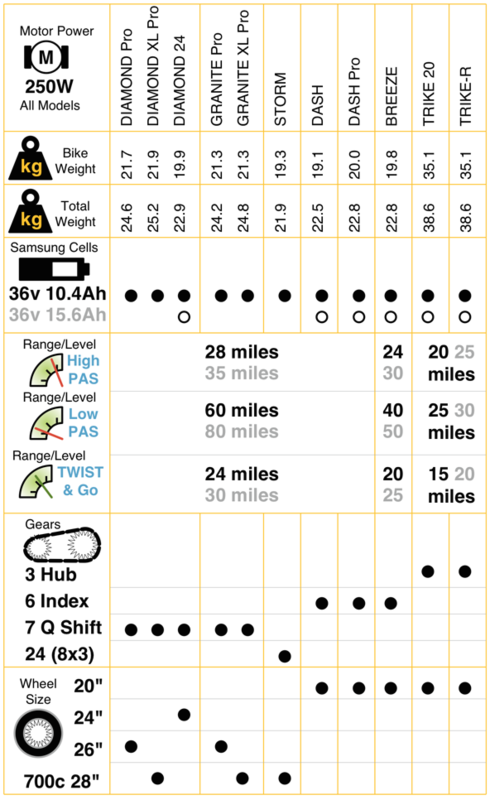 This is a comparison of bicycle features. Here are some videos on how to review a bike. T-America generally favors a tiered system for couriers. Bonded couriers work for a corporation, through an agency, or belong to a professional organization which provides job security and benefits. They are more expensive, more reliable, and have both a bicycle license and a courier license. Services often have a junior (for 18-21 year old couriers or anyone in the first 1-3 years of service) and a senior (proven for at least 1-3 years, and usually 21 or over) rating. Again, more experience and reliability will cost more. Small local businesses are popular. Freelance couriers work for themselves and have no benefits, other than the fact that T-America picks up the employer's half of social security payments for the self-employed so they don't get screwed as happens here. They're cheaper, but there's no guarantee of quality. They may or may not have any kind of license. Good freelancers exist, but typically you get what you pay for. People tend to use freelancers for things of minor to moderate importance; the more important the package, the more likely they hire a bonded courier. A courier typically rides either a messenger bike or a cargo bike. A messenger bike is light, fast, agile, and comfortable for carrying verbal messages or packages of negligible weight. Some messengers like hybrid bikes for a balance of speed and durability. A cargo bike is heavy, slow, modestly maneuverable, less comfortable, but incredibly sturdy and powerful for hauling large or heavy packages. 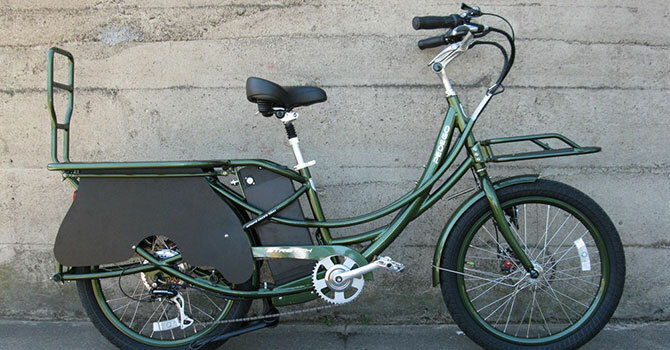 These vary from cargo bikes that are barely heavier than a regular city cruiser to massive tricycles that steer like a barge but can carry almost as much as a small car. Some couriers only do one type of work, but many do both and thus have two or more bicycles. Why are couriers so popular when technology is also higher? The security: you can't hack a person like you can a computer or a cellphone, and bonded couriers are extremely trustworthy. Read about a day in the life of a bicycle courier. Couriers are more respected professionals in T-America than in L-America. They often wear a vest for visibility and identification. Adding a trainee armband provides clarification of experience level without requiring a whole separate set of vests. T-America makes more use of apprenticeship as job training. This method appeals most to tactile or interactive learners. Some businesses formalize the apprentice program for couriers. Bike shops often run an apprenticeship program which teaches bike maintenance. Bicycle licensing almost never works in L-America, because it is almost always done badly. Basic and comprehensive bicycle education are readily available in T-America. A bike license is not required, but it comes with perks, and is often the first form of official identification that children carry. Among those perks is that you can register all your bikes at no extra charge, which increases the chance of finding them if they get stolen. (Normally such registration costs money.) Cycling organizations sometimes require licenses for their members. Jobs that rely on bicycles often do; bonded courier organizations always do. Money gathered from bike sales taxes, license fees, etc. customarily goes back into infrastructure such as bike paths or racks. People are therefore much more willing to pay out when they get something back in exchange for it. I like the way Cassandra gradually comes to /is persuaded to appreciate and accept the gifts. • Couriers are respected professionals in T-America than in L-America. > Needs "more" or some other comparison construction. Yay! She's making progress, at least. She's still twedgy about it. Cassandra and Groundhog will talk more about that in the future. >> • Couriers are respected professionals in T-America than in L-America. I'm now wondering if rather than Flight coming back *exactly* like before, Cassandra might find herself taking off while bicycling like the famous scene in E.T. ... there seems to be an opening for that in her frequent comparisons of biking and Flight. Which, if she managed to do it regularly/sustainably for even a few blocks at a time, would make for one hell of a charismatically visible (and extra speedy!) soup courier. Anything is possible. *ponder* While an ordinary bicycle wouldn't add any advantage, a gizmotronic bicycle-plane might. 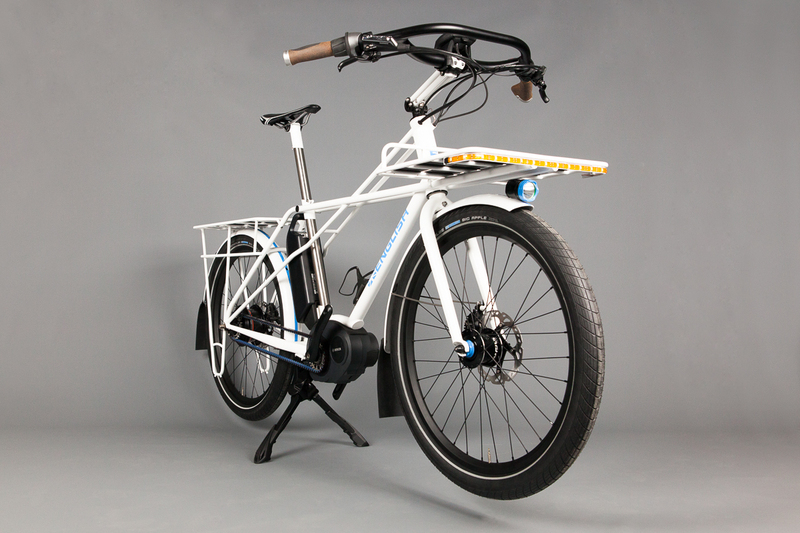 You know those electric bikes that charge up from people pedaling and then provide a motorized assist on steep hills? Wondering if there is a gizmotronic 'battery' that can do the same for superpowers that can't quiiiiite produce the max burst energy someone needs for their desired performance level...and if such a gizmo, since it is quite level-breaking in concept, might be tamed to a more ordinarily quirky level by specifically requiring that it be attached to something conceptually related, slightly clunky, and theoretically unnecessary. Like a bike. Something else where Flight + bike would be useful: hopping even an ordinary bike over an obstacle that would otherwise be impassable. Yes, those are useful, although T-America also has bicycle charging stations in many places. Onion City is in good enough shape to have them widely available. Those folks are serious about their mass-transit system, they're getting a Fleer train. That is certainly within the feasibility range. It would depend on knowing the right super-gizmologist. In the Truth & Justice game manual which inspired some of the mechanics, gadgets and super-gadgets have suggested types of limitations. One is simply that you can't do the trick without the device. (This applies to things like Stalwart Stan's fetish and Hefty's battlesuit. Without those, their abilities are ordinary-scale.) Carrying an engine on a backpack can be clunky. Carrying one on a bike is much easier. Another is that gadgets typically require fuel of some kind, whereas super-gadgets don't always. In this case, the most likely fuel is going to be calories. Some people with Flight are probably running it on gravitic energy, while others run it on calories. As Cassandra uses her Flight more, it'll probably run up her metabolism -- which would've been running high even if all she did was ride a heavily loaded cargo bike daily. Women don't usually demand as much as men but I'd bet courier work would be in the 3000/cal/day range of "heavy labor." Something I was thinking was a bike with gizmotronic wings that could fold themselves away when not in use. Exciting! I like both the wings and the hopping idea. Hm. Regarding calories as fuel for courier work and superpowers both, and sources thereof. 1. I wonder...is batch cooking for self and others something Cassandra considers a chore (therefore adolescent and unpleasant), an everyday practical thing (therefore neutral, good in a good context and not-good in a not-good context), or an adult skill/responsibility (therefore probably good)...? 2. What about ordering dessert first - that seems like a small, playful, manageable 'you're a grownup, you're allowed to do it' thing of the sort Aidan or Groundhog or someone might encourage her to try. (I bet her mother insisted on splitting one portion if Cassandra ever got to order dessert. On the other hand, it doesn't seem like Cassandra has *severe* food issues, but a smattering of related problems of the sort culturally mandated for young women would be in line with the rest of her character backstory). 3. Also, if she's insistent on acquiring adult tastes, learning to judge and compare *good* chocolates or high quality examples of, oh, cheese or olives, something like that, would transfer, not on specifics but on knowing how to learn about that type of thing, to wines or coffees if she wanted to become an expert on those later, without currently encouraging her to consume more of a substance than she actually wants. And while people often *judge* edibles using small tastes they may not actually consume, educated palates that aren't attached to snobby brains can *appreciate* them while eating in quantity but mindfully so. And fully enjoying an experience, while still gauging personal limits for how much of that experience is a good idea, is *also* an adult skill, and one that requires practice, and that works better with improving brain chemistry. I'm not entirely sure. Probably she hasn't had much opportunity for this. Her food management skills are intermediary. She seems intrigued by cooking, and classes in this topic have been mentioned as a possible persuit. She can do basic things like making sandwiches. Learning batch cooking would be a logical next step, and if presented as a thing which adults do, would appeal to her. Places that cater to busy, hungry people often keep a batch of something hot available. Ricasso's gang has one of those gyro spits with the huge cylinder of pressed meat. The prison break room for guards has a crock of something like chili or pulled pork. That kind of cooking is worth learning. Really, Cassandra would benefit from someone sitting down and discussing superpower nutrition with her, when her metabolism starts going up. How do you figure out how much fuel you're burning, and thus, how much you need to eat? How do you tell which nutritents you're burning more of and thus need to expand? The numbers are flabbergasting: high end for naries (4000/cal/day) is toward the low end for soups who may need 2-4 times as much, and a few need even more than that. That makes sense, if she goes for sugar. Since Cassandra is leaning toward more adult flavors, however, she may not be as attracted to desserts, but gods know I have characters who will eat a tub of ice cream every day. Speedsters usually go for sugar, sometimes fat. Strongmen usually go for fat and protein, sometimes sugar. Flight will probably be sugar, fat, or both. Energy gels are called "flight food" because they're lightweight and easy to eat on the go, thus popular with fliers. Speedsters will take the thinner gels and pour them into a water bottle -- they really are like hummingbirds. My suspicion is that Cassandra's appetite went up when her Flight manifested, and her mother probably did the usual "Stop eating like a pig, you'll get fat" routine. Without realizing that Cassandra's baseline metabolism had gone up. Her skinny shape when she arrived was probably a combination of not getting enough to eat while she had superpowers, and then the chronic pain suppressing her appetite after the clipping. With Aidan stuffing the cabinets full of organic goodies, this is probably the best opportunity Cassandra has had to eat a healthy diet. That also means she's packing on muscle, which is heavy, so stepping on a scale might be alarming for her -- even though she's at or near a healthy weight. She might still be a little low. But she has those big long bones, she's got the frame to carry the kind of muscles she'll need to drive a fully-loaded cargo bike. Oh, good choices! :D I suspect that Cassandra would like dark chocolate. Cheese is healthy, and almost everyone can find some they like. Plus the variety of flavors make it easy to ramp up from basic cheeses to more sophisticated ones. I'd say olives are a real good bet. They are nutritious, but more importantly, a source of healthy fats. This is especially true if you buy the gourmet ones from Greece or Turkey, not cheap American crap. Taking Cassandra to an international food store could be loads of fun. Cassandra seems like the kind of person who might find it fun to match flavors in her head. I do it when I'm composing recipes. One of our favorite pizza restaurants is teaching people how to pair beer and pizza. This is fun! Thanks for indulging my curiosity about Cassandra. This reminds me of a gizmo I came up with in my teens. It's not *impossible* it'd just require some extra quirks in the laws of physics. It's a "momentum bank". If you use it to brake it stores part of the momentum *vector*. So braking going north can be used later to give a boost going south. Especially useful is being able to use braking going down, to give an assist going up. And of course, there's gotta be a limit on how *much* momentum it can hold. Which causes other problems. A momentum storing battery is doable, though the ones I've seen don't have that limitation. However, it'd make a logical "less powerful" version. Well, flywheels are sort of like that. But this idea was something that was playing games with physics. Ones that a few theories suggest are possible, but are way beyond current tech. The most feasible way to do it is with graviton technology, because mass and motion relate to gravity. You're just storing the energy instead of releasing it in the moment. It's a lot like storing electricity. I'm glad you enjoyed it so much. Rereadability makes me happy! Cassandra really doesn't grasp how much she's been doing to help other people, does she? And she also seems to have some of the "if I can do it, it's nothing special" attitude that crippled someone I know for a long time. (My friend had the super-toxic version of "anything I can do is no big deal and anybody else could do it as well or better, while anything I can't do is proof of how stupid and worthless I am".) Having Cassandra review and evaluate the special equipment will help her deal with the monetary issues better, I suspect. I would also bet that Cassandra's parents consider it sinful to spend money on "extravagance", even though they seem to have an exception for "paying for quality". But the nuances there aren't easy for a child to pick up. Part of this is because much of what she's been doing looks like ordinary work, but in context, is not. Carrying your own groceries is ordinary; carrying groceries for your pregnant or senior neighbor is prosocial behavior. Babysitting ordinary kids is no big deal; babysitting the children of soups is a higher responsibility. (Yona trusts that Cassandra would be smart enough to call SPOON if, for example, one of the kids turned into a tapir or stuck to the ceiling or somesuch.) Backstopping for a friend with social anxiety is ordinary; backstopping for a friend with superpower-induced agoraphobia is more advanced. Cassandra is getting hung up on the appearance and not realizing that the substance underneath can be very different in ways that affect the value of the task. She also doesn't grasp that her ethics as well as her skills mean she can and will do some things that many other people can't or won't -- like how Yona had babysitters bail on him during labor because Male Pregnancy abruptly exceeded their squick factor. That never even occurred to Cassandra; she said she'd do it, so she did it, and if it had been icky she would've dealt with that instead of bailing. She seems to have the "don't break promises" rule well in hand. Another problem is simply that she's been staying on Groundhog's couch instead of renting her own place. That really makes her feel like a mooch. She's not working with the same "bank balance" information that Groundhog and Aidan are. Cassandra thinks that she's in the hole because she's not paying rent and doesn't have a dayjob. The guys think she's owed a lot more because not only did her parents seriously shortchange her, but now she's doing a lot of extra stuff, some of it high-value. This is something they need to discuss, or they're going to keep chasing each other in circles. There is some of that with Groundhog in subsequent poems, but Cassandra needs to go over it with Aidan too. I suspect that Cassandra has something similar but less intense. Gaps will make her feel bad. She's definitely overlooking a lot of her skills. But some things she could easily grasp as valuable and uncommon, like when her Flight comes back. A courier with Flight is obviously valuable. She's just underestimating her value now. That is quite likely true. They seem to appreciate things which are both pleasing and useful. They probably aren't into beauty for its own sake -- which means that Cassandra's art was probably tolerated as a hobby but not encouraged. Despite the fact that some of it is already good enough to sell, and with further education, she'd have professional art as an option for a career. Certainly it is promising for pocket money, and with a high-effort job, she needs something else to do that won't overwork her body. "Normally" in what way? Was this intended to refer to L-America? Both, actually, although the details differ. L-America has a handful of organizations that register bikes in case of theft. Almost all of them cost money, and they tend to charge per bike. If you own more than one or two, this gets expensive fast. Coverage is spotty at best; some areas don't have a service. Also attempts to offer or require bike licenses have been a near-universal disaster. T-America has much better policies. Any police station, most bike shops, and some private organizations have registries. These still cost money, but the coverage is better. Some offer stickers to put on your bike, others have real metal license plates, and you get an optional GPS chip if you want one (which is usually activated only in the event of a theft although it can be used for other safety purposes, like helping a pregnant woman avoid toxic areas). Consequently bike theft is much less attractive, and retrieval of stolen bikes has a higher success rate. Getting a bike license is not generally required, only in certain limited circumstances like for bonded couriers who deliver on bicycles. But one of the perks is that the license allows you to register all of your bikes at no extra charge. This (and other perks) makes bike licenses much more popular in T-America than they are here. They're cheap, and junior licenses for minors are free in many areas; the fees go toward bicycle infrastructure and other upkeep. • Aidan clapped his hand together. Your link for Gyre (gyrfalcon) is 404, but the site suggested this for gyrfalcon. The Western world has been primarily a money economy for many centuries. How come he hasn't learned how to deal with other people's attitudes toward money? He's certainly smart enough, and he cares a lot about people.— By the way, how does Aidan pronounce his (current) name? I keep waffling between /ˈaɪdɑn/ (EYE-don) and /ˈeɪdɑn/ (AY-don). • I suspect that Cassandra would like dark chocolate. > Who doesn't? ...Mmm, gotta head for the pantry now. Yeah, but it took a lot longer for money to become the primary means of exchange for everyone. No matter what rich people are doing in the cities, poor people in the countryside often have to rely on barter. There are still a lot of places in the world where that's the norm, and cash is just an adjunct. Aidan hasn't spent all his time in the most developed places. In fact, one of the documented locations is a reservation in Canada at the end of WWII. Reservations are poor. If people have cash, they're usually using it to buy gas, cigarettes, electricity -- things they can't get with barter. You need your fence mended, you barter for it. The main reason is developmental. Whatever people experience early in life tends to stick. This is most true of worldview. Aidan's core personality is tribal. He can adapt to other types of culture, but it doesn't change who he is underneath the show. (This is true of many tribal people who can 'pass' as mainstream.) Because he grew up before people used money, he doesn't need it to survive. He knows how to take care of himself without it. This gives him a level of security that most modern people simply do not have. Think of it as the difference between a digital immigrant and a digital native. He's a barter native, and a cash immigrant. Aidan has indeed learned how to use money, but his different background means that his instincts aren't the same. He can memorize rules, sure, but they keep changing every decade or so. To him, money is kind of ephemeral as a result. The simplest way for him to keep track of expectations is to ask people. The reason he doesn't always remember to do this consistently is because it's a learned accommodation, not an innate thing -- if the situation is unusual, he may not catch it. If Groundhog says, "No more than one cartful of groceries at a time, because I don't have room for more in my apartment," that's a logical rule that Aidan can follow. But it's not the same as the financial intuition that most people have from growing up in a capitalist society. There are always people who don't have that sense, though -- the ones who inspire the articles I'm using as references. Aidan is smart and thoughtful, but nobody can do everything. This is one of the things he's never going to do as well as someone born in a cash culture. It's not just a limitation on experience. It's also that he doesn't really trust cash. He's seen how crazy it can make people, and that makes him wary of it. The green frog skin story really fits. Honestly, I'm never going to shake that perspective myself, and it's only farmemory and poorskills for me. Most people, cash is all they know. When your experience is wider, you can see the craziness that for everyone else is the water that fish don't see. Ahhhh..... This makes sense to me. Thanks.